As a businessman and the owner of the company, it is your task to expand your organization. In the realm of digital industry and eCommerce industry, Magento gains a lot of popularity. The technically unique platform is a powerful eCommerce solution, having the biggest ecosystem in the realm of business. There are a group of modules in the Magento platform to offer flexibility to the shop owners. Even the programmers can easily come up with features including checkout and sales. The fact that it provides customization options makes it very popular. Merchants can even get it for free in the initial stage and later on look for the paid version to integrate more features. Now is the trend to outsource Magento web development services to reliable offshore companies. There isn’t a need to have your own in-house team of website designers when the task can be outsourced to the top quality service providers. A complete range of Magento development services with just a few clicks. 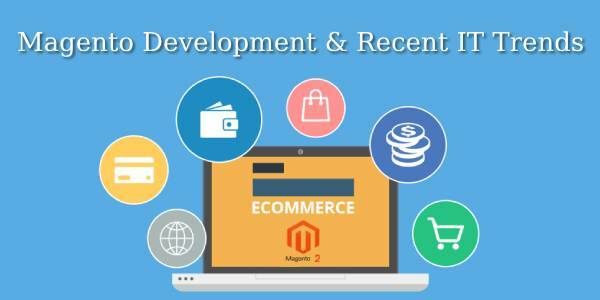 In order to reach out to the target customers at every nook and corner of this world, use Magento development platform to acquire best-in-the-class website and to conduct your business online. The feature-rich, stunning interface is the prime attraction. You may even outsource the Magento development service to another company operating globally. What you get is top quality result at affordable price rate. Whether or not one is a tech enthusiast, the eCommerce site developed on Magento platform is so user-friendly that anyone can operate it. For the Magento web development, the software is implemented with great ease and features user-friendliness. Even if you customize the website in the near future, it won’t require much time and cost. Magento has its own community and forum to offer solutions to all your problems. If you want to integrate certain features to improve the functionality of your website, you may do it with the free modules. Original and innovative themes that synchronize with your website’s branding perspectives. Tailored-made themes designed particularly for your brand. You may now outsource theme integration and Magento development services to an offshore company, which has been in the ‘market’ for long. As most of the features are free, Magento developers can create a feature-rich and unique website for your business. Focus more on the mobile experience as more than 70% of people use smartphones to shop online. Leverage on the potential of social media by using social media extensions to better integrate with the social media. Magento website development is worth considering in every respect.